At 12 inches tall, this large vase is a stunning way to display your tall flower arrangements, either dried or fresh. This sizable vase is ready for any large floral display. 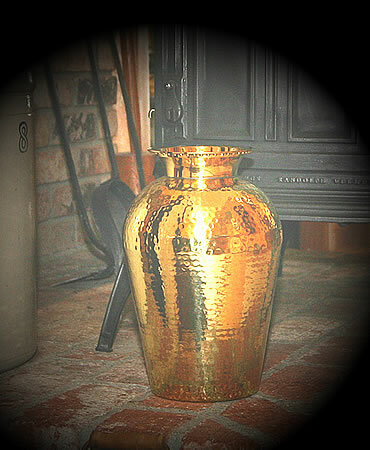 The vase is made of solid brass which is hand finished with an eye catching hammered texture, and stands a full 12 inches tall. The mouth of the vase is 3 1/4 inches wide, and tapers up to over four inches across the top opening. The base measures 5 1/4 inches in diameter. 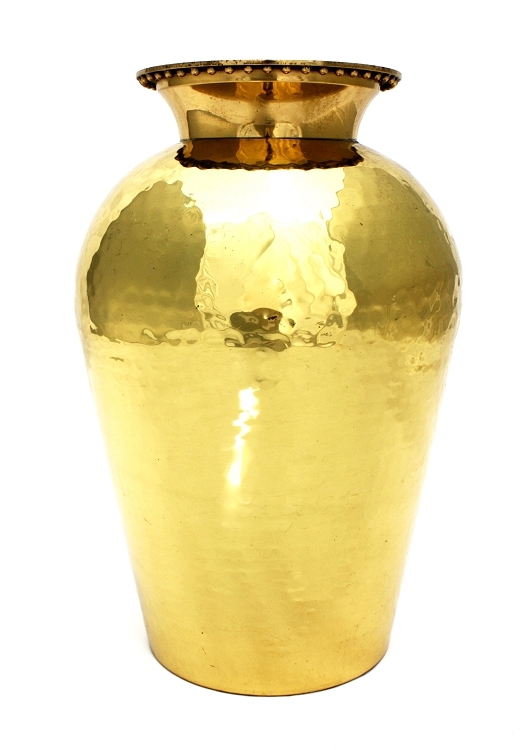 This impressive vase will make any thing you choose to display in it stunning. The polished brass finish is lacquered to provide a maintenance free shine.Weighs 2 pounds, 14 ounces.